Hey guys! How are you on this fine July Wednesday? 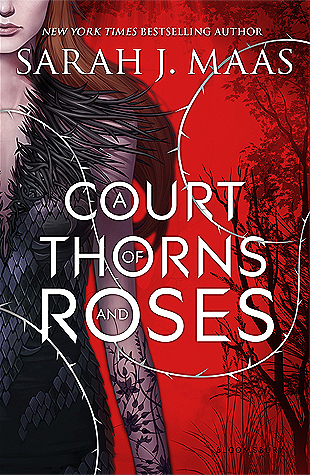 Today Emma, Beth, and I are chatting about our June book – A Court of Thorns and Roses by Sarah J. Maas. It was Emma’s choice, and I was curious to see what people like so much about this book. We’re a Goodreads group and we would love if you joined us on there! Here’s a link. We also are newly on Instagram and we’re currently hosting a July photo challenge on there. I know the three of us would love to see and share your pictures on there! Anyway, to continue with the book and the chat and things. What were your first impressions of Feyre? Sophie: I wasn’t sure what to think of her. I found her dynamic between her and her sisters to be really interesting too. I couldn’t decide if she was a self-sacrificing in a destructive way or not, but she grew on me. Emma: I’m not going to lie, her actions annoyed me in the beginning. However, as the book went on, I started to understand her character better. I started understanding why she acted the way she did, especially in regards to her home life. By the end of the book, I’d come to really respect her and like her attitude. Beth: At first I was very unsure about her, but she grew on me as the book went on. But I can still see how people would find her annoying, as she did make some questionable decisions. Overall though, she was an extremely interesting character to read about. Did the book end the way you thought it would? Sophie: Funny story. I like to go to the last page to see which page is the real last page (you know how some books have excerpts? Yeah I don’t like being fooled like that.). So I kind of knew what would ultimately happen, but the small twists and turns that did happen I was taken by complete surprise. Emma: I’m the same as Sophie, and I count how many pages are in a chapter too! (I have become a victim of many spoilers this way – which happened at one point in this book!) I didn’t expect the book to end the way it did – the whole last half was so epic, I honestly couldn’t put it down! I loved the way it ended, and didn’t see it coming at all. Beth: I do the same, Sophie! But I made sure to not look at any of the words, so I had no clue about the ending. Actually, the ending shocked me! I expected it to end on more of a cliffhanger. What are your thoughts on Rhysand, Tamlin, and Lucien? Sophie: Lucien!!!! I loved Lucien almost immediately. I knew Tam was supposed to be the love interest in it so I was interested to see how the story would unfold around him. I grew to love him like Feyre did. It did bother me he made zero effort to help Feyre in the end of things. I HATED Rhysand! Why did he have to be such a jerk!? My opinion changed after reading ACOMAF. Emma: From the get-go, I fell in love with Rhysand! (You’re probably thinking: what? He’s a jerk! Which is true, but I just had a feeling that he wasn’t actually how he seemed… And I just need to say for anyone who has read ACOMAF, I guessed what that little scene with Rhys at the end of this book meant!!!) My thoughts on Tamlin are a little more complicated. One moment he was making me experience all of the feels, and the next he bored me. When it came to end in Under the Mountain, I just wanted to tell Feyre that if he wasn’t going to even try and help the situation, she should kick him to the curb and haul out of there! I found Lucien to be an awesome, fun character – I loved his sass! Beth: I felt mixed about all of them, actually. There were times when they all annoyed me – Lucien at first, Tamlin at the middle-end, Rhysand most of the time – but I did like them all at times, too. Especially Tamlin! How do you feel about Feyre’s family? Sophie: I like them and the way that they were different from most families. I’m not condoning what her father and sisters did and the way they treated her but I found their dynamic a bit fascinating. Emma: They made me really rather angry. They couldn’t have been blind to what Feyre was sacrificing for them, and yet they did nothing to help her. I thought it was horrid how the well-being of her whole family was placed upon her shoulders at such a young age, especially considering that she is the youngest, and should have never had that job practically forced upon her. Beth: I couldn’t help but dislike them! As Emma said, they made me very angry and I just couldn’t get my head around why they treated Feyre the way they did. What was your favourite part/scene? Sophie: Omg Erma!! Lol I liked the beginning part where we’re first introduced to Lucien and Tam. Beth: Hmm, that’s a really difficult one! Probably the middle part when Feyre was getting to know Tam! If you missed our announcement, our July book is Anna and the French Kiss by Stephanie Perkins! This was released a while ago, but the three of us decided it was time for a reread. I personally read it for the first time, and I couldn’t wait to get into it! Look for my review of that to come soon! Hey there Book Junkies! How did you do this month? We read A Study in Charlotte by Brittany Cavallaro which was released this past March. This is a modern retelling of Holmes and Watson, but this time Holmes is a girl! Welcome the great-great-great grandchildren of the famous detective and doctor – Charlotte and Jamie! Beth and I both read this on our respective cruises (not planned! ), and we both thoroughly enjoyed the book! We also are going to make our May read announcement later in this post! Want to read our reviews of the book? Here is Beth’s (link) and here is Sophie’s (link). Without further ado, here is our discussion! Do you think you would have preferred the book if it would have been from alternating Holmes’ & Watson’s points of view? Beth: Yes. Although I think I prefer it being all James than all Charlotte, I would have liked to have seen both of their POV. Sophie: No, I like how it mimics the original tales in this way! While it would have been nice to know more of Holmes’ thoughts, I like how it stays true to form. How did you find Holmes as a character? Did you like her? Beth: Yes! Although I was a little hesitant at first, I think she made the perfect Holmes. Sophie: I love her and her prickly self. I don’t think it would have been better if she was sweeter than the original Holmes. Her character is very well-developed, and I can’t wait to see what else Cavallaro has in store for her (and Jamie)! Would you recommend this book to lovers of contemporary/romance, or just to lovers of mystery? Beth: As Sophie said, I would recommend this to any lovers of YA! I would just say not to expect too much romance, though. Sophie: I would recommend it to anyone! It’s something that’s both mystery and contemporary. It’s not scary to the point that I had a hard time staying up at night, but it’s enthralling enough that you stay hooked. When you read mysteries, do you try to figure out who the culprit is? Did you have a false guess? Beth: Of course! I did have a few false guesses but nothing serious, really. Sophie: I love to try to predict things! I’m so bad at it, but I have fun doing it anyway. I wasn’t terribly surprised to find out who the killer was (it was hinted at toward the end), but usually I run through an entire list of suspects before I get the actual one. The Moriarty family is brought back into the mix! Where do you think this will take our characters? Beth: I really don’t know what’s going to happen with the Moriartys – but I definitely can’t wait to find out! Sophie: Eeeek! I can’t wait to see the antagonism play out again! There is definitely some lingering tension over what happened with Charlotte. I’m curious to see how it’ll play out. What did you think of Jamie, err, James? Beth: I love him! I like how he matures throughout the book, and with the events that occur. But he still keeps his sweet, sensitive self. Sophie: What a sweet kid. Funny story, but I read his narrative all in a British accent (or at least the best imitation my American mind can come up with). I like his loyalty, it’s an admirable character trait. I just love how sweet he is the whole time! That’s not to say he doesn’t have his moments or his own demons to deal with. Did you read along with us? We hope you enjoyed it as much as we did! This May we are happy to announce that we’ve selected When We Collided by Emery Lord as the book of the month. This was released early April by Bloomsbury, and was a highly anticipated read by many. Can’t wait to see what the hype is all about! Happy reading, may your shelves overflow with books, and read on! Hello! Sorry for being so late on this one. We’re a bit behind, but we promise this month we’ll do our best to get this out on time. For February’s Book Junkies read we chose The Love that Split the World by Emily Henry. What did you think of Grandmother? Love her? Hate her? Sophie: I loved Grandmother. I thought her character was well developed and she added something to the story. I wish I had a grandma like her! Beth: She was a great character – and she definitely added another, new layer into the book which I’ve never seen before in a YA novel. I was really impressed with what she added to it! What did you think of Natalie’s Native American heritage? Sophie: I found it to be really interesting. Last year I took AP United States history, and I learned a lot about Andrew Jackson forcibly removing many tribes and the many battles between the natives and other settlers. There aren’t many books about Native American people, and this one just adds so much insight into their history – even just the culture. Beth: It’s a great concept and one I haven’t read much about before! The only thing I would say is to add more about it in the book – I’d have loved to have heard more in Natalie’s everyday life rather than just in Grandmother’s stories. What did you love most about the story? What did you dislike? What did you think about time travel being a massive part of this novel? Do you think Emily did a good job in describing everything? Beth: Definitely! I was a little dubious starting this book, actually, as I have never read a book about time travel before – but I was extremely impressed by Emily’s skill of weaving it in between Natalie’s real life. Sophie: I felt like it’s one of the best I’ve read. It was seamlessly woven into the story. I felt that while it is a big aspect of the book it didn’t dominate it. 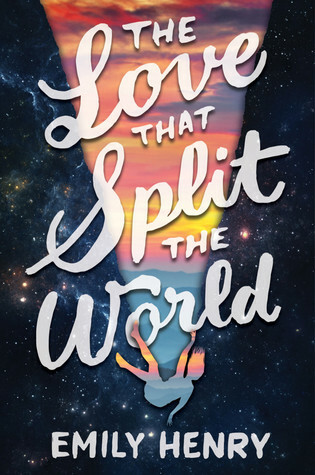 Should Emily Henry be proud of The Love That Split The World being her debut novel? Beth: I can honestly say Emily deserves so much for this book. It has been reaching out to so many people in the past few months and for good reason. I was actually lucky enough to talk to her a little on Twitter and she’s such a lovely person! I just want you to know, Emily, there are so many people who admire you and are so proud of you for writing this. I’m still astonished by how amazingly beautiful it is! Sophie: Absolutely!! It’s gorgeous and beautifully written. The character development is spot on. I wish I had my own Natalie and friends (Beau included of course). Props to her for such an amazing debut! Fun fact: I’ve studied at the same college as her! I took an advanced lit course that was through Hope and was there every Tuesday in 8th grade. It’s so weird, but cool at the same time. Beth: Ah!! I was so happy to receive this book in the mail, and when it arrived I sat there stroking it for ages! Such a pretty cover…and one for such a beautiful book. Sophie: Ditto, Beth! Agh, kudos to the cover designer! You really know how to get an amazing cover! Thanks for reading with us! It has been a good month, and we’re looking forward to this one! Hello, all! For January, our book club, The Book Junkies, read Six of Crows by Leigh Bardugo. We were extremely excited to read this because of all the hype it got this past fall. This was set also in the world of the Grishas, and it was extremely interesting and well-developed. We hope you enjoyed this month’s read! We know we did 🙂 Next month we will be reading The Love that Splits the World by Emily Henry. We would love if you read along with us! Check out the link above to our group on Goodreads and join. What were your impressions of Kaz? At first, I found him too tough, too insensitive. But he grew on me as I got through the book, and I liked seeing a nicer, softer side to him nearer the end. Emma: I. Loved. Him. He was such an amazing character, and it was really interesting to find out why he acted the way he did. He was so calculative and mysterious, I found myself really enjoying trying to guess his reasonings behind things. Sophie: I thought he was pretty BA. He got better as the book went on, and I really liked his background story. I really like him. Did you find the world hard to understand at first? Totally. I can’t help but feel that Leigh had the entire world in her head but didn’t know quite how to explain it. I also think it was hard to understand without reading any of Leigh’s other books – i.e. The Grisha trilogy. Emma: I actually found it really greatly described – I mean, there were parts where I went, ‘What’s a Corporalnik again?’ But otherwise, I was fine, and just found the world amazing. However, after saying that, I do technically have an unfair advantage because I read the first book in The Grisha trilogy, Shadow And Bone, a few years back. Sophie: YES! Oh my goodness, it was so hard at the beginning! I wish I had read Bardugo’s Grisha trilogy first. I thought it was very, very well developed, though! I can’t wait to revisit it. What did you think about the different perspectives? Favorite? Emma: (Psst Sophie…his name’s Wylan!) And I loved all of the Point of Views, but I really liked the chapters from Inej and Kaz! Beth: Honestly, I think Bardugo really pulled this off. One of my favourite books with more than one POV! I loved Nina’s perspective (and Nine in general), along with Kaz & Inej! If you were a Grisha, what would your power be? Why? Sophie: I would totally want to be a Fabrikator. I think it would be so cool. I mean, being a Heartrender would be cool too, but I thought it’d be awesome to be able to make it out. Nina was so interesting too. I liked how she thought of her power and what different perspectives she and Matthias had on what a Grisha was. Emma: Heartrender, no doubt. I would to be able to heal though, like Nina! Beth: I quite like the idea of being a Healer, but the Heartrender thing is also pretty appealing! What did you think about Kaz and Inej’s relationship? Beth: I loved them! I wish I could have seen slightly more of them together as friends in Ketterdam, but maybe that’s just me. Although I did really like the way, as Emma said, there was no insta-love. Sophie: I’m in totall agreement with them. I ship it so much. Inej complements Kaz so well and they get each other much better than anyone else. The ending though!!! How do you pronounce Inej?! Emma: In my head, I just say it as In-eh-j, like how it’s spelt. However, I’m guessing the j is maybe said as a y? Or perhaps it’s said as In-jay? Beth: I just thought In-edge…haha. In-jay would make sense though, and fit in moe with the world! Sophie: I say it i-nege like with a soft g sound. It rhymes with “hedge.” Ya feel me?? So now you know what we think, tell us your thoughts in the comments below! Hi, guys! I am trying to catch up on all my reviews – I read so fast it’s hard to keep up with them all in addition to trying to come up with some posts that aren’t just reviews! So this month for Book Bloggers Unite! book club we read Six of Crows by Leigh Bardugo. This was released in September of 2015 and has been raved about since. We decided it was definitely one we wanted to read and discuss for this one. After Naomi and Ely’s No Kiss List we were excited to get into something so thrilling. Kaz Brekker is probably one of the youngest, most successful gang members in Ketterdam. The streets of the bustling port/island is one of intrigue, business, and secrets. It is eat or be eaten. Gangs rule the streets and are in constant battle for territory. Known for his skills in breaking into impenetrable places, Kaz is approached by a wealthy merchant. He is asked to bust out a chemist developing a lethal drug from the largest and well-kept bastion known to the area – the Ice Court. It’s a job Kaz can’t turn down, and he knows that he can’t accomplish it on his own. With a carefully selected group Kaz has his sights set to the Ice Court and works to break down its icy walls. What a thrilling book! I couldn’t put it down once I got into it. At first I was a bit confused because of the world it’s set in. That took a bit to get used to, but overall it was so cool seeing how elaborate the whole world was constructed. Props to Bardugo for having such an intricate and beautiful world! The first couple of chapters were hard to get through. Like I said about the world, it was a bit hard to adjust to. I think if I had read her first series, it would have made a little more sense. The Grisha world was super cool and something I look forward to getting to know better. I am definitely putting that on the overflowing TBR list. Once I got into the groove of the book I really enjoyed getting to know the characters. I think that my favorite ones were Matthias and Inej. Kaz was really interesting too. I like that it was told from multiple different perspectives because it gave you a taste of all the sides of the story than just one perspective. It was fun to follow all of their personal feelings and motives. The story was definitely exhilarating. There are so many twists and turns in the plot that I couldn’t wait to see what happened. The ending was such a surprise! I can’t wait to get my hands on Crooked Kingdom once that’s released! I am so excited to see what comes next (that cliffhanger was cruel). Check out this awesome post from Beth at The Books are Everywhere about our new book club!! Please consider joining us this month with Six of Crows by Leigh Bardugo. Hi! So for the December read Emma and Beth chose Naomi and Ely’s No Kiss List by David Levithan and Rachel Cohn. Below is some book chat we had discussing this lovely read. Hope you enjoy! Naomi is in love with Ely. But Ely is gay. Gay is fine with Naomi – but not for Ely. Ely who has been her best friend and neighbor even through the break up of her parents and knows exactly how good she’ll look in a crop top. (Really, his fashion advice is on point.) When they were younger, Naomi and Ely created the No Kiss List of people who are just off-limits and helps keep the magic of what Naomi and Ely is as a duo. So putting Naomi’s boyfriend Bruce on there would be pointless, right? Until Ely kisses Bruce. Let the war begin. Emma: What did you think of Naomi? I personally didn’t like her in the first half of the book. I found she was annoying, and simply didn’t care about anyone but number one. However, I found as the book went on, she started to change – she was more open to her emotions, and that made her a much more likeable person. Beth: I have to admit, I really didn’t like her at first. I picked up on the fact that she, intentionally or unintentionally, toyed with people’s emotions and I see that as morally wrong. But after the first half, she did grow on me a lot – I much preferred the emotional side to her! Sophie: I loved her! At first she was a bit annoying and entitled but after a while she grew on me. The new Naomi after everything happened was so much better than the beginning Naomi. I also love her wit and badassery. Emma: What did you think of Bruce the second and Ely’s relationship? I thought it was really sweet! They both seemed to open each other’s eyes in a sense – to Bruce’s sexuality, and how a real relationship works, to Ely. Beth: I liked the way he affected Ely view of relationships. I didn’t like the way that Ely appeared to have one-night stands, but I found Bruce changed that and made him a better person. Him and Ely really complimented each other well! Sophie: I thought it was cute how Bruce made Ely turn into some sort of school-girl type. It was endearing and showed a whole different dynamic to his character. I also liked how Bruce found a new person within himself, too. Beth: How did you feel about the author’s portrayal of sexuality in the book? Personally, I think more could have been said about how Ely first discovered he was gay, and I think there could have been more on the subject overall. But on the other hand, I like the way it didn’t come across as different to any of the straight relationships in the book. Sophie: I thought it was well done. It was presented in a way that it was a major element, but it wasn’t shoved in your face. You know what I mean? I felt that I wasn’t attacked for my own beliefs about sexuality, and it was something very relatable. Emma: I agree with both Beth and Sophie – the fact that Ely and Bruce were gay didn’t change the dynamics of their relationship, and I think the authors have done a good job on that. Beth: Opinions on the use of emoticons in Naomi’s parts? I didn’t like it. Or at least it took me a while to understand. I just didn’t see them as necessary. That said, I do like the way the authors tried to make the book unique by adding them! Sophie: I thought they were a bit strange at first but after a while I enjoyed them. Some of them weren’t obvious what they meant but it was very Naomi-like once I got to know her character. I felt that it was the best way for her to narrate. Emma: At first, I found them so annoying. I didn’t see the point of them at all, and some of them were quite small and hard to decipher. However, once I was in the second half of the book, I sort of started to understand why the authors had chosen to use emoticons in her chapters, because it suited her as a character. They were a nice feature to add – but I think the book could have gone without them. Sophie: Two favourite points of view? Why? I really liked Naomi’s and Ely’s the best. Since it was their story I thought theirs was the best way to see it. I did enjoy the little snippets from the Bruces, Kelly, and Gabriel though. All the outer perspectives shed different layers on them. Emma: If I’m honest, I liked them all. I was a bit sceptical at first because I don’t normally enjoy lots of different point-of-views, but I thought the authors pulled it off really well! But I will say, I did like Bruce the first and Gabriel’s chapters! Beth: Probably Naomi’s and Bruce the Second’s. Part of me found the many different sections confusing, but also understood why there were included. I also appreciated learning more about Naomi in her parts. I loved the book! But I also really enjoyed the movie, too. Not to mention Gabriel’s hotness *swooning* The book had so much more details to it and they ended slightly different, but both were extremely good. Emma: I can’t quite believe I’m about to say this – it feels like a crime against my bibliophilic nature – but I really loved the movie. I watched it before I read the book, and I just found the characters, and Naomi and Ely’s friendship, was shown so well in the movie that the book was just a let down in comparison. Beth: I have to say, for once, movie. Although looking back on the book I like it more than when I read it, I did like the way the movie portrayed the characters really well. It was clearer to picture people as I didn’t find much depth in the character development in the book, unfortunately!